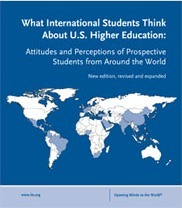 According to the website announcement, this revised and expanded Institute of International Education (IIE) report examines the attitudes and perceptions that international students who are considering studying in the United States have of U.S. higher education and other key study destinations around the world. The following research questions are explored: What attracts students from other countries to study in the United States? What course of study do they intend to pursue? Do they prefer the United States to other key destinations? What are the perceived barriers facing students who wish to study in the United States? 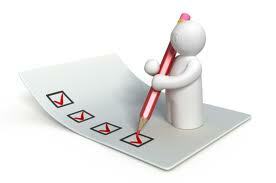 The results of surveys conducted in 19 countries are presented together in this comprehensive report. After downloading and opening this report, I was looking forward to seeing the latest information about Vietnam. Much to my dismay and disappointment, I found information from a survey I initiated when I was still country director of IIE-Vietnam. That was over 6 years ago! Obviously, the only part of the Vietnam section that was “new, revised and expanded” was the introduction. The U.S. was the overwhelming first-choice destination for respondents in Vietnam, with 82 percent of respondents listing the U.S. in an open-ended question, followed by eight percent for Australia and five percent for the U.K. (Fig. 23). Australia led among alternative destinations, with 31 percent of the total, followed by the United Kingdom (21 percent) and Singapore (14 percent). Follow this link to read it yourself. Given IIE’s close relationship to the US State Department and EducationUSA (its two advisers in the US Consulate General in Ho Chi Minh City (HCMC) are former IIE educational advisers and were both involved in the administration of the 2009 survey) and given US Mission Vietnam’s sizable database of student contacts and its reach, especially in Hanoi and HCMC, why not launch a joint online survey to take the nation’s pulse in late 2014 or early 2015? Six years is a lot of water under the bridge in a rapidly changing country like Vietnam. A few examples will suffice to prove my point of self-selection sampling. The US as the “overwhelming first-choice destination” for Vietnamese students: While I don’t disagree that the US is the preferred destination for Vietnamese students based on current enrollment figures, it strains credulity that the percentage is that high, especially given the number of Vietnamese students studying in Australia and other top five countries (e.g., Japan, China, Singapore). Gender breakdown: 62.9% female vs. 37.1% male, which may be representative of students who visited EducationUSA advising centers and attended IIE and US Mission education-related events but is not representative of Vietnamese students studying, or planning to study, in the US. Note: I discussed some of these issues in this 11 March 2010 post, one month after the Vietnam report was published as an IIE briefing paper.